3 navy tugs are pulling the hull of ex USS Duncan against the current towards Black Sea. Just a shell of the former frigate is left. The effects of cannibalization can be better seen in this photo. Perry class frigate USS Duncan was the first ship of this class to be decommissioned active service. She was striken from US Navy service on 5 January 1998. In May 1999 she was sold to Turkish Navy. She has never entered in to service therefore she doesn’t have a Turkish name. She was used as spare part source, to keep other ship working. This practice is lovingly called cannibalization. And you can see the effects of it on the hull of USS Duncan in above photos. TCG İnebolu, TCG Özgür and TCG Darıca, three Turkish Navy tugs, towed the hull of ex USS Duncan through Istanbul northbound, on 22 March 2017. Since there are no scrap yards along the Black Sea coast of Turkey, this journey is not going to end at one scrapyard. The markings on the hull of the former frigate are consistent with a live firing test. 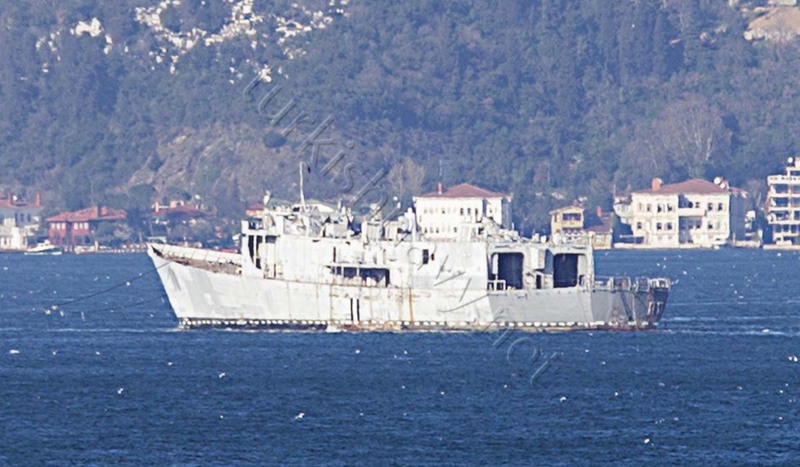 A few days after the passage of ex USS Duncan it was announced that she was going to be used as a target during the Deniz Yıldızı annual naval exercise. NOW THE U.S. NAVY LOSS OTHER WARSHIP FOR CUT BACKS. Served on the USS Duncan from 1983 to 1986. Was my first duty station.